Wicked Skull Sword Cane | BUDK.com - Knives & Swords At The Lowest Prices! 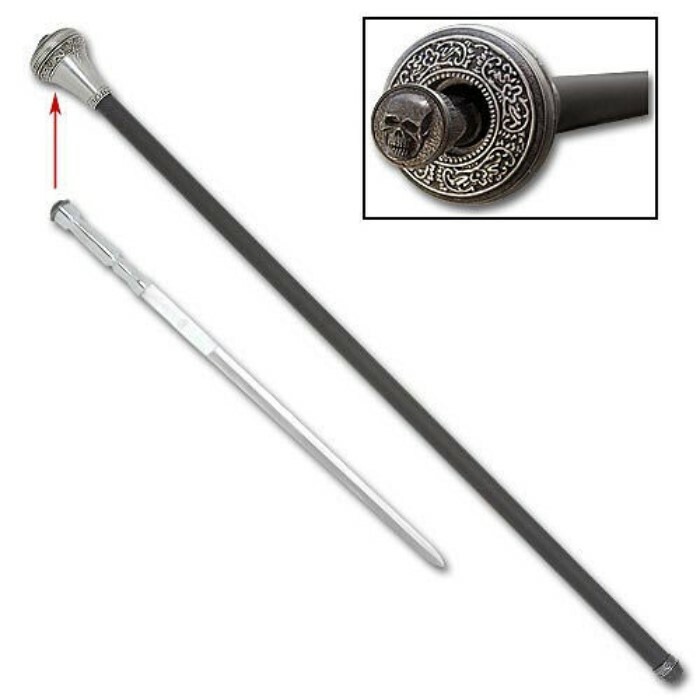 This item adds an innovative twist to the elegance and durability of the sword cane design. This gentleman's walking stick looks innocent, but at the press of a button a 20 1/4" stainless steel dagger pops up into your hand ready for self-defense action! The cast metal head is smothered in unique knot work designs and comfortably fits in your palm. The skull head in the center is designed to pop up at the simple twist and push motion on your fingertips to deploy the blade. This item measures 36" overall.